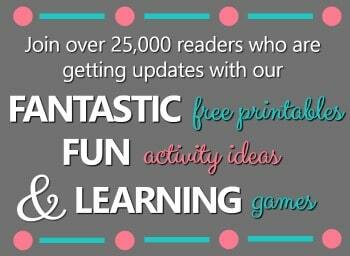 Yesterday I shared the reading activities we did for our K is for Key letter of the week theme. 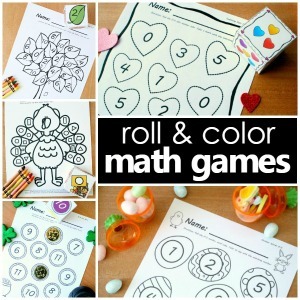 These are some of the math and science activities we tied into the theme. This was the favorite of the week by far! 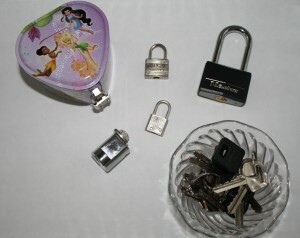 We collected different lock and key sets, and I left them in one of our tot trays for the week. 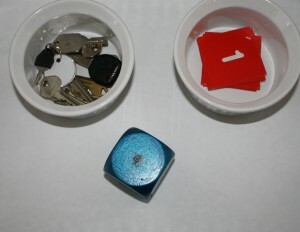 After a little bit of trial and error, the kids had a lot of fun matching the keys with the locks and trying to open them. Some of those locks were tricky. There was a lot of focused effort! 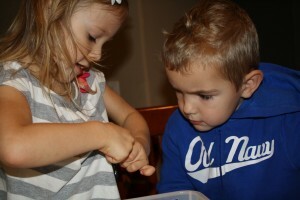 I loved to see them working together to show each other how to work the keys. And the pride on their faces when they opened each lock was wonderful to see! I also set up a key counting tray this week. To begin one child rolled the number cube. They counted together to decide which number they were working on. 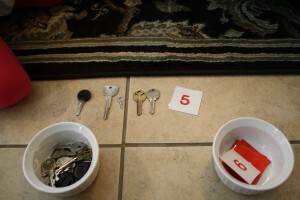 Then one child got that many keys from the bowl, and the other child found the matching number card. This way each child had a job to do for every turn. The next time they switched roles. This was also helpful in letting me see who was able to count the keys using one-to-one-correspondence and who was able to identify the numbers on the cards. As the week went on I left the tray out, and the kids chose whether to do the task on their own or with each other. The kids also enjoyed playing with the keys. 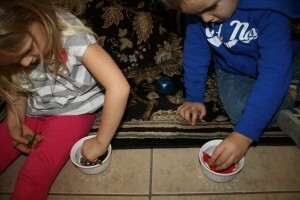 They dumped them out and used them for a lot of different activities. The first time they sorted them I guided them a little in deciding which groups to make. They chose to to sort them by keys with one hole and those with more than one hole. They also chose to sort them by size, big and little. 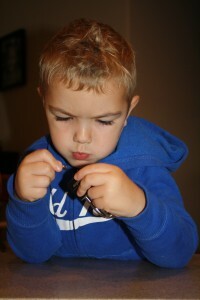 Overall we had a lot of fun playing and learning with keys, and thanks to our fun everyone here and at the boys’ house has a much lighter key ring these days! 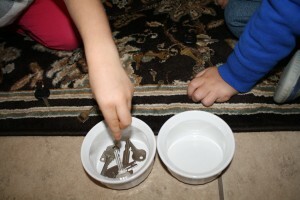 Have you done any math and science activities with keys? I was hoping to find a science experiment, so if you have an idea I would love to hear about it. What a great idea! I don’t know how many locks we have, but we certainly have enough keys around for a fun sorting activity! Thanks!!! Thanks! 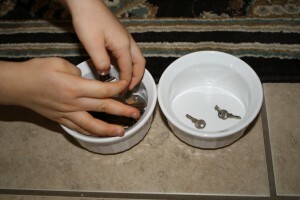 The kids loved just playing with the keys, so I think it will be a great activity even without the locks. I didn’t think we would have that many locks either. We borrowed a couple from family and friends. But really one good lock would be just fine. 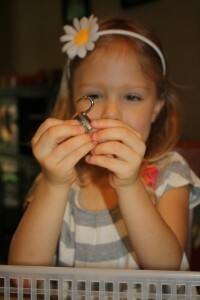 The Master Lock was very sturdy and the key fit well, so the kids ended up playing with that one the most.